Keda Publications What is Stride Ahead? Hello. My name is Keda Cowling – the author of Stride Ahead and Toe By Toe. Often these students become very adept at disguising their poor reading skills. They use ‘guesswork’ allied with contextual clues to get meaning. Because these ‘guesswork’ techniques hide a student’s poor reading skills, often their teachers are not even aware that the student has a problem. In effect, they are on a ‘reading plateau’ from which they are unable to ‘climb higher’ or further improve their reading ability. For many such students, they often remain on this ‘reading plateau’ throughout their school careers and on into adult life. In the late 1970’s I created a unique syllable division which was incorporated into the reading manual Toe By Toe. 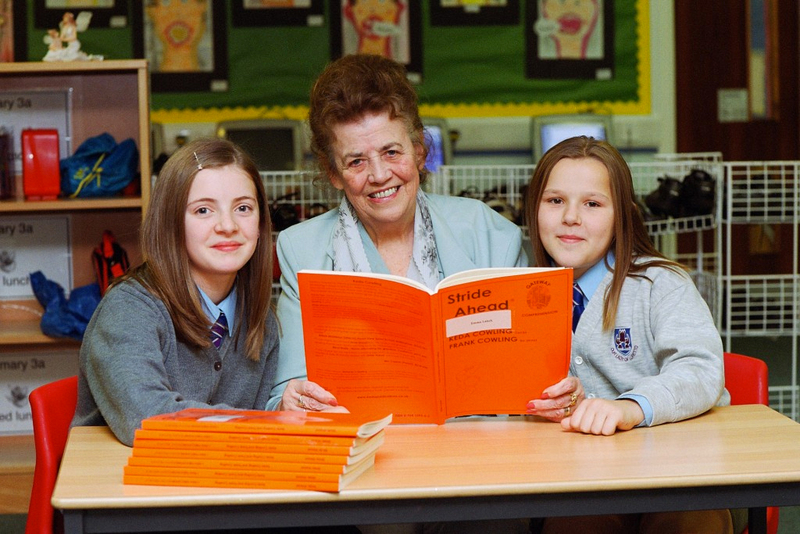 In the many years since then, Toe By Toe has successfully taught hundreds of thousands of people – both dyslexics and non-dyslexics – to read. That is, to ‘decode’ written text. Toe By Toe’s success is due to the application of this easy-to-use syllable division and the structured over-teaching of particular phonemes. The aim of Stride Ahead is to make these phonemes from Toe By Toe so familiar to students that they are able to recognise them instantaneously, without concentrated mental effort. This ‘frees them up’ to get on with the important process of actually understanding text. Careful ‘Timing’ is the key to success when using Stride Ahead. Timed practice is the best way to achieve automaticity. That is why Stride Ahead uses a structured series of timing targets. This encourages the student to think less about the minor details of a text. This ‘frees them up’ to give more attention to the main objective of reading a text – understanding it and extracting meaning from it. 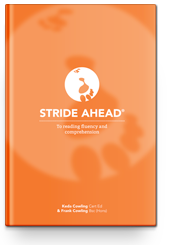 Enjoy this video of Keda’s son and co-author of Stride Ahead, Frank Cowling, detailing What is Stride Ahead?